They’re live! They’re Interactive! They’re the world’s first video games that put you into the screen, into the action and in command. So claims the Canadian company behind Mandala technology- “an open door into virtual realities”. Toronto firm Vivid Effects has developed the Amiga-based Mandala video system to enable a user to interact fully with computer generated and live video images. Mandala features a heavily-customised 68000 chip, Amiga graphics chips and a souped-up maths co-processor to process incoming video signals from a camera mounted above a monitor. display or a video sequence, or, through making use of a genlock, a combination of both. Making a movement causes the figure to move correspondingly on screen and software handles the respective background changes. The trick is to process that movement in real time so that the user senses no delay in his movement vis a vis the screen refresh rate. It’s a trick Vivid Effects isn’t worried about revealing. If this level of interaction weren’t enough, the system is also MIDI compatible, allowing users to play musical instruments without actually touching them by integrating sound modules, sequencers and synths. One Vivid Effects demo allows you to play drums just by making drumming motions. Labatts’ Beer has used the system in public promotions to invite users to make their own pop promo. In addition, Vivid has also taken the system to various live music video performance art events in New York, Amsterdam, Tokyo and Paris. Already the system is. being used in museums, science centres and theme parks for more interactive information requirements, but the company is just beginning to introduce more sophisticated variants of Mandala into Canadian shopping malls and arcades. At the recent Tech 2000 exhibition in Washington DC, visitors were invited to ‘Step inside television and participate in a virtual world reality… just a wave of the hand will instantly transport you’. 10-foot by 8-foot walk- in environments were constructed which contained large-screen projections of graphics and moving video running off laser disks linked by Amiga genlocks. Video cameras followed the movements of people entering the space and they were able to ‘wander’ for up to an hour through 3D virtual environments, seeing their position on the screens depicted by white silhouettes. Vivid also put Mandala to gaming use too. One interactive environment is Mandala Baseball where a player holds an animated baseball bat to hit oncoming animated baseballs. At the Canadian Hockey League’s Hall of Fame a system was demonstrated in which players saw themselves in front of the goalnet and had to move hands and feet to prevent scores. In business presentations, the system is also being used to allow live presenters to appear within graphs and control animated bar charts on large video monitors, while Bell, one of Canada’s main telecom companies, is using Mandala as a teleconferencing tool. Vivid lease the system to corporations at a cost of $1000 to $1500 a day. So this forefront technology doesn’t come very cheaply – a basic installation starts at around £10,000 and can cost ten times that depending on a client’s needs. Some nine years in planning, Mandala has finally come together with the advent of the Amiga’s new graphics handling and multimedia capabilities. But the system’s inventors, Vincent John Vincent and Frank MacDougall, are now developing home versions. The home unit will comprise an add-on box for the Amiga which will incorporate all the necessary hardware additions and the video camera. The company hopes to have such a home system available in just over a year and expects the price to be around £600. In the meantime, Vivid Effects is currently negotiating with top US games houses to produce home versions of interactive sports and action simulations. 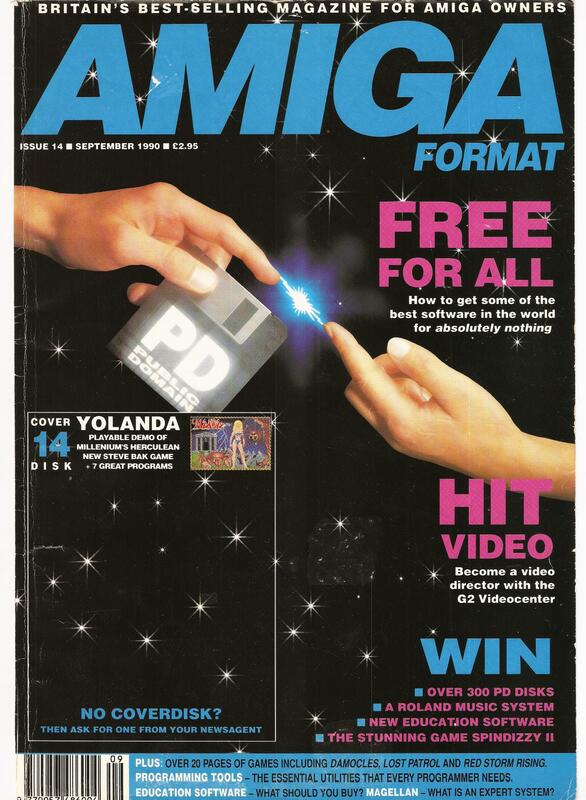 It would seem that the Amiga video adventure game is just around the comer. You can also bet that the CDTV is going to be one of the first recipients of Mandala’s exciting potential.